Healthy Gen is proud to have partnered with the Salishan Community Health Advocates (CHAs) to craft a winning proposal for the Bank of America Charitable Foundation’s recent round of community grants. The grant program is focused on economic mobility by addressing community development needs through investments such as affordable housing, community revitalization, arts, and the environment. The $25,000 grant for ongoing program activities will support the further integration and effectiveness of the Salishan CHAs. Bank of America Charitable Foundation believes that an “individual’s zip code should not define his or her economic well-being, educational attainment, and overall health. Economic opportunity begins with the ability to live and work in vibrant communities, with access to safe, decent housing, strong business corridors and arts and culture.” Their funding efforts focus on the work of local, national, and global nonprofit organizations working together to address these issues essential to an individual’s economic mobility and a community’s vitality. 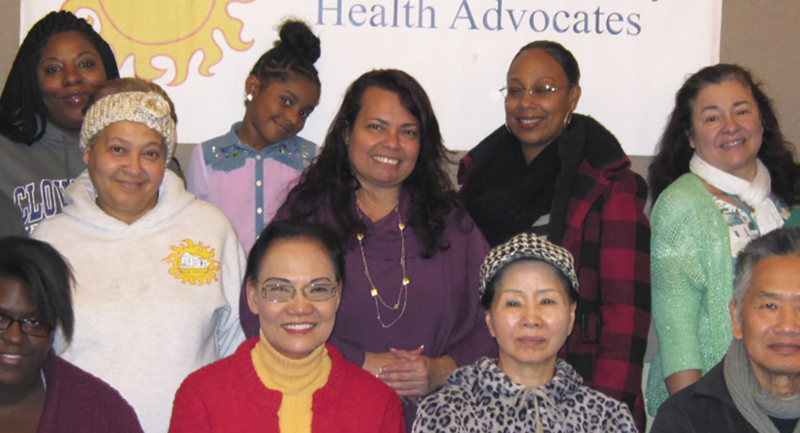 The Salishan Community Health Advocate (CHA) Program in Tacoma embodies Healthy Gen’s vision for health equity in every way. Salishan residents trained as CHAs create a healthy neighborhood by engaging their neighbors in projects that impact wellness, including planning and maintaining innovative green spaces that are culturally relevant for this largely immigrant community. The grant will help CHAs work with their neighbors to build a more vibrant Salishan community for all who live there, but specifically for low-income residents. Salishan’s 16 CHAs are multilingual, multicultural, and multigenerational low-income residents who truly represent their neighborhood. CHAs revitalize Salishan with grassroots advocacy to transform the policies, systems, and environments that affect residents’ wellbeing.